Natural Devon is a collaboration of all those working to ensure that a healthy natural environment underpins a high quality of life across the county. 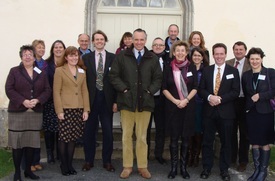 Lord de Mauley (under Secretary of State for the natural environment and science) met Natural Devon's Board on January 16th to discuss work to date and key issues. Follow up discussions were held with Government on funding for AONBs and Naturally Healthy work. We are currently developing a project pipeline in order to ensure that we have a list of priority projects to share with funders (incl the LEP), have projects 'on the shelf' when funding becomes available, help to link those with ideas for similar projects across the county. The current list will be available on the website within the next few weeks. If you haven't already submitted details of ideas please contact Sarah Jennings for a copy of the form. Heritage Lottery Fund - apply! The HLF team is looking for more natural heritage projects at ALL scales. They are keen to ensure that people are aware that smaller scale applications to Sharing Heritage and Our Heritage schemes can be simple with no application windows, assessment in 8 weeks and advice from HLF staff. To find out more see their website and contact them for advice. They are also recruiting for two new SW regional committee members - if you are interested then please contact HLF. SITA Trust supports community and environmental improvement projects through the Landfill Communities Fund. This summer the Trust will be launching its new Accessing Nature programme which will fund capital works to increase and improve opportunities to access the great outdoors. For more information on this and other funding streams see their website. 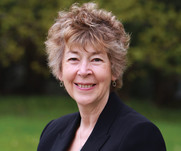 Sue Goodfellow, Harry Barton and Mark Robins continue to represent the LNP on various LEP groups and will ensure that partners are aware of any funding opportunities. If you have any questions please contact them directly. Our Sustainable Seas Action Plan was signed off by the Board in April. An Executive Summary will be available soon. Work continues on developing a marine data hub, a Devon research register and marine project register. To find out more or get involved please contact Richard White at Devon Wildlife Trust. The consultation on the second tranche of Marine Conservation Zones has recently ended. Two are proposed in Devon - Bideford to Foreland Point and Hartland Point to Tintagel. 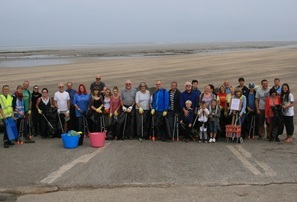 Clean Marine, a pilot project to combat the issues of marine litter in North Devon, is well underway with 12 beach cleans completed, other exciting plans in the pipeline and 180 volunteers signed up to date. To find out more email natalie.gibb@devon.gov.uk call 01271 388893 or visit the website. You should be aware that Natural Devon partners are launching the first ever Devon Naturally Health Week over May half term. The aim is simply to inspire people to get outside and feel better! 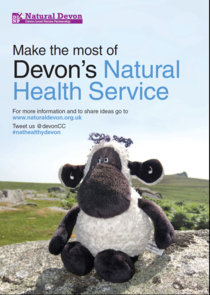 Events across the county, ideas for activities and posters promoting Devon's Natural Health Service are on our website. Let us know what you did and send a pic for the website (email Sarah Jennings) or tweet us at @devoncc #nathealthydevon. Sue Goodfellow will be helping to run a workshop on this theme at the Devon Care Providers conference in June as well as speaking at the Active Devon Outdoor event (see below). Over 50 people attended our workshop last November to discuss the results of research into barriers preventing people from using the natural environment. Ideas from the workshop are being taken forward via our Naturally Healthy Working Group. For a summary of the key messages for providers as well as further information on the workshop and research see our website. 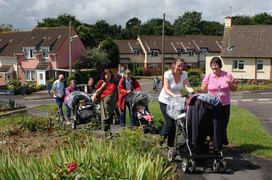 Health walk schemes across Devon continue to flourish. To find out more see www.walkingforhealth.org.uk, our Naturally Healthy pages or contact: Hannah Colston at Active Devon on 01392 263674. Dartmoor Naturally Healthy Project and Exmoor's Moor to Enjoy are continuing to develop and do great work in exploring how to increase the health and wellbeing benefits of our National Parks. To find out more contact the coordinators - details on our website. 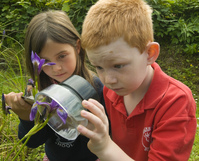 The new two year Naturally Healthy Devon Schools project has just got underway in north and east Devon investigating the benefits of learning in natural environments with an additional focus on the health benefits. To find out more see our website. For more information on the work of Devon Education for Sustainability Working Group see the website. 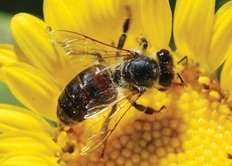 Natural Devon partners are organising a Pollinator week in July (to coincide with a proposed national pollinator week). If you have any ideas for events / demonstration farms / open gardens etc please contact Andrew Whitehouse at Buglife. We also need an inspired name for the week - any ideas to Andrew or Sarah J please! On 17th February over 100 people attended a really useful Devon Farming and Environment event at Newton St Cyres to discuss profitable farming, environmental protection, soil management and compliance under the new CAP. More info on FWAG SW website. The Catchment Sensitive Farming Partnership in North Devon has been having some great successes with reducing diffuse pollution from agriculture. In 2015 work in the Barnstaple Yeo catchment will be designed to tackle pesticides in drinking water, whilst in the Taw Torridge Estuary the focus will be to improve water quality for shellfish. For more info see the North Devon Biosphere website. Catchment Management (‘Upstream Thinking’) schemes delivered by partner organisations on the rivers Exe, Dart, Tamar, Barnstaple Yeo, and at Fernworthy Reservoir and in the Otter Valley. Wastewater treatment works (Phosphorous and Ammonia control) and river catchment schemes at Tiverton, Cullompton, Willand, Honiton, Okehampton, South Molton, Ivybridge and Moretonhampstead. 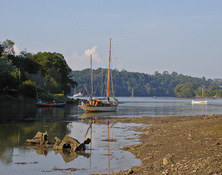 Increased protection in river catchments supporting shellfish waters with schemes on the Taw and Torridge, Exe, Teign, Dart, Salcombe, Avon and Yealm. Contacts for Farming with Nature: Robin Milton (Exmoor farmer), Paul Cottington (NFU) and Roland Stonex (SW FWAG). Contacts for Resilient Wetlands are Mark Rice (EA) and Orlando Venn (NE) . Ash dieback is a disease that is already devastating the countryside in parts of Suffolk and Kent. In the next decade or two we are highly likely to lose nearly all our ash in Devon. 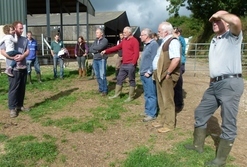 Devon Hedge Group, Natural Devon and Bicton College held a workshop on 25 March 2015 to discuss how best to react to this issue. Actions from the meeting can be found on our website. Also see the Forestry Commission's latest document on the management of ash dieback in SW England. 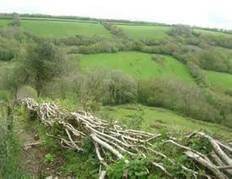 On May 11th the Devon Hedge Group facilitated a workshop for LNP / LEP partners to co-ordinate activity relating to woodfuel from small farm woodlands and hedges, ensuring that funding opportunities are not overlooked or missed. The notes from the workshop are available here. Silvanus is developing a wood fuel bid for the county for both the LNP and LEP. Countryside Stewardship event for the forestry sector. The Forestry Commission is organising a workshop on 1 July, 10.00-14.00 in Cullompton (also on 30th July in Westonbirt) to provide an overview of the scheme for local foresters, landowners and agents. To book a place email nikki.whale@forestry.gsi.gov.uk by Fri 12th June. During 2014, 30 hedge events were held to celebrate Devon Year of the Hedge. 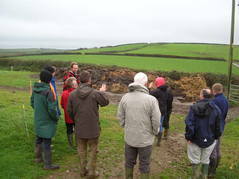 The final event was a visit to Racedown Farm, Marshwood where 40% of the firewood sold comes from coppicing farm hedges. Articles were published in Western Morning News including http://tinyurl.com/ptpyqn5 and http://tinyurl.com/p2jg4me. For more information on Devon Hedges contact Tom Hynes. DEVON HEDGES - now published! This month the Linnean Society of London is awarding Bob Heckford the H.H. Bloomer Award at a ceremony in London. This award is given to an amateur naturalist who has made an important contribution to biological knowledge. Bob is a micro moth expert and has a moth named after him (Ectoedemia heckfordi - see pic) which he discovered in the Dart Valley. The Devon Greater Horseshoe Bat Project had a busy first six months. As well as visiting over 50 farms, the project has been starting work with 22 schools and community groups. The HLF funded project, which hopes to secure its five year funding in September, is also developing a series of ‘bat beacons’ to involve local communities with the first being established at Berry Head. The South West Coast Path’s £1m Coastal Communities Fund project is well underway with repair work to the storm damaged Coast Path. The South West Coast Path Association is leading this project over the next two years, alongside the South West Coast Path Team, Local Authority partners and the National Trust. Funds will help with 32 urgent repair works, including 12 in Devon, in addition to a range of projects providing information boards and signage, events and marketing. For more information visit www.southwestcoastpath.com/ccf-repairs. 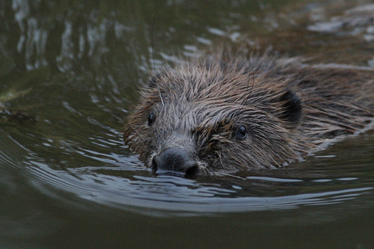 A legal beaver in the River Otter! This newsletter has been sent to you because you have expressed an interest in the issues covered by the Devon Local Nature Partnership. To provide contributions to the next newsletter or unsuscribe please email nature@devon.gov.uk.